If you are an adventure freak and an avid nature lover, then the ideal place for you to check out is the Corbett National Park. Situated in the Nainital district of the state of Uttarakhand, the park was initially established to conserve the endangered Royal Bengal Tigers of India. Being the oldest national park in the country, it is a sought after tourist destination, attracting enthusiasts from all over the world. The park boasts of rich and diverse flora and fauna, which remains a significant point of attraction for the visitors. Due to the heavy influx of tourists, the park has been developed into a prominent ecotourism location. This has resulted in the setting up of many hotels and resorts in and around the area, so that the visitors can enjoy their trip to the fullest. 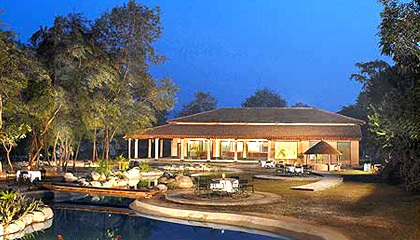 So, if you are ready for action, check out information regarding hotels and resorts in Jim Corbett National Park. If you want to be treated like a king on a jungle safari, you can choose from a number of luxurious hotels/resorts located in the area. 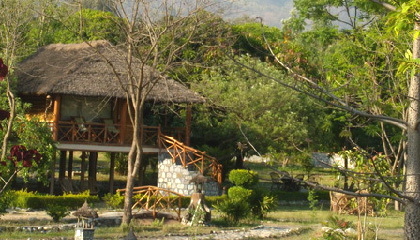 The major ones include Manu Maharani Resort, Quality Inn Jungle Resort, Corbett River View Retreat, etc. 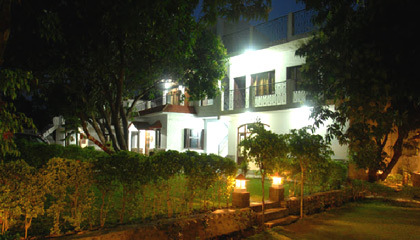 The facilities provided and the service rendered by these hotels will make sure you feel at home. 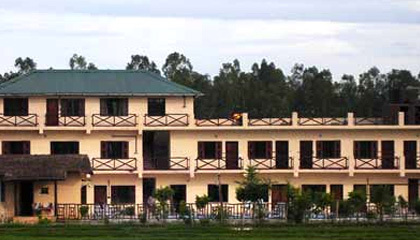 Apart from this, a number of budget hotels are also available, which will prove to be affordable for all budgets and pockets. 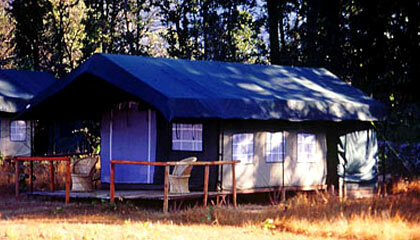 To experience the real jungle fun, you can even opt for guesthouses within the park or go for camping.